Call us at our Statesville (704-878-2660) Salisbury (704-636-0559) or Hickory (828-328-3900) locations today. 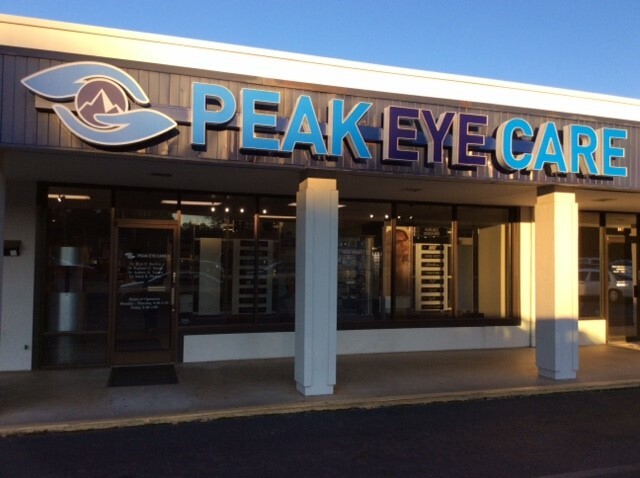 Welcome to Peak Eye Care in Statesville, Salisbury, and Hickory, and Salisbury. Our Doctors and the Peak Eye Care team strive to provide the best in optometry services. We invite you to browse our website to learn more about our optometry services and join our patient family by scheduling an eye exam appointment at our office. Peak Eye Care is a full service eye and vision care provider, accepting both eye emergencies as well as scheduled appointments. 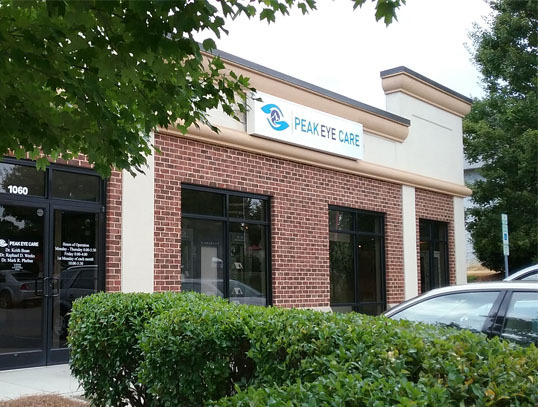 Patients throughout the Statesville, Salisbury, and Hickory area come to Peak Eye Care because they know they will receive the personal attention and professional care that is our foundation. Our Doctors and our team are dedicated to keeping our patients comfortable and well-informed at all times. At Peak Eye Care, we will explain every exam and procedure and answer all of our patients' questions. Additionally, at Peak Eye Care, we offer vision financing options and will work with vision insurance providers to ensure good eye health and vision care for all of our patients. Our one-on-one approach to optometry makes our doctors and the Peak Eye Care staff the eye and vision care providers of choice in the Statesville, Salisbury, and Hickory area. Our optometrists offer the following services: complete eye exams, contact lenses, glasses, glaucoma testing, and pre- and post-operative care. For a complete list of services, visit our services page or call our Statesville (704-878-2660) Salisbury (704-636-0559) or Hickory (828-328-3900) offices. 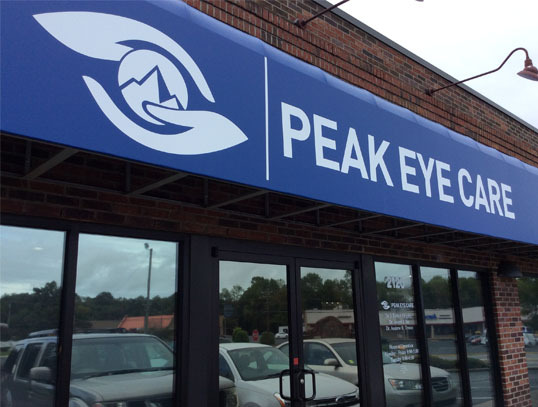 At Peak Eye Care, we are dedicated to providing high-quality optometry services in a comfortable environment.Call our Statesville (704-878-2660) Salisbury (704-636-0559) or Hickory (828-328-3900) to schedule an appointment today. Dr. Mark Phebus is a native of Rossville, IN. He received his undergraduate degree in biology from Indiana University. He then graduated from the Indiana University School of Optometry and completed a residency the following year at James H. Quillen Veterans Affairs Medical Center. He resides in Charlotte, NC and enjoys playing sports, hanging out with friends and family, and of course watching IU basketball. Dr. Andrew Treece is a native of China Grove, NC. He received his undergraduate degree in polymer and color chemistry from NCSU and his Doctor of Optometry degree from the University of Alabama at Birmingham. He completed an optometric residency program at the Salisbury VA Medical Center where he specialized in diagnosing and managing ocular diseases. Dr. Treece resides in Salisbury with his wife, Allison, and two children. He enjoys backpacking, kayaking, and playing golf. Dr. Raphael Dixon Weeks was raised in Kannapolis and graduated from South Rowan High School in China Grove. She received her Bachelor of Science degree in biochemistry from North Carolina State University in Raleigh. She then received her Doctor of Optometry degree from the University of Alabama at Birmingham. Dr. Joseph Sie is a native of Charlotte, NC. He received his undergraduate degree from North Carolina State University in 1993. He attended optometry school at the University of Alabama-Birmingham School of Optometry and received his Doctor of Optometry degree in 1997. He is married to Dr. Mandy Sie who practices optometry in the Charlotte area. They have three children, Matthew, Megan and Elizabeth and reside in south Charlotte. Dr. Keith Boan is a native of Raleigh, NC, but grew up in Statesville, NC. He attended college at Oglethorpe University in Atlanta, GA and received both his B.S. and O.D. (Doctorate of Optometry) from the University of Alabama at Birmingham. Dr. Boan resides in Statesville with his wife, Kris, and their four children. Dr. James R. Grigsby has been with the Eye Care Center since 1991. He completed undergraduate studies at David Lipscomb University in Nashville, TN and received the Doctor of Optometry degree from the University of Alabama at Birmingham. Dr. Grigsby is involved in third world medical missions and volunteers his time doing eye exams with organizations like the Lions clubs and Special Olympics. He is married to Dr. Bonnie Aiken Grigsby and lives in Davie County. Dr. Rick Bartlett is a native of Asheville, N.C.. He received his B.S. in biology from UNC-Charlotte in 1977 and Doctor of Optometry degree from Southern College of Optometry in Memphis, TN. in 1981. Married to the former Carolyn Poston of Statesville they have three children: Alexia, Arik, and Landon. Dr. Sigmon is a native of Albuquerque, NM but grew up in Hickory, NC. He attended the University of North Carolina at Charlotte and Pennsylvania School of Optometry. Dr. Sigmon has over 30 years of experience in various practice settings. He resides in Hickory with his wife, Jennifer, and grandson. He enjoys sports car racing and steam trains. ""I have been coming for years because of the excellent care that is given. I would not hesitate to refer anyone."" ""This was a very enjoyable visit. The doctor and staff are very knowledgeable and courteous."" ""As you can see from my survey, you are giving wonderful, professional eye care to me. Thank you and your staff very much."" ""I was extremely pleased with the staff and doctor. It was a pleasant experience with friendly service and I would definitely recommend Eye Care Center to anyone who needs eye care!"" ""Your staff are just wonderful and easy to talk to… Keep up the great work.""